The sacroiliac joint is a common source of low back and hip pain, it is estimated to be the cause of around 13% of people suffering persistent low back pain (1); which is a relatively high number when there many other potential pain causes within the low back. The sacroiliac joint is a very important joint between the sacrum which is a bone that sits at the very bottom of the spine, and the pelvis with very strong ligaments to hold a support this structure. It is usually not possible to get an accurate diagnosis of sacroiliac pain and dysfunction on a history alone, as there are many other structure’s which may mimic sacroiliac pain such as the muscles, ligaments, discs and joints of the spine; so there needs to be several orthopedic tests that recreate the pain to indicate the sacroiliac as a source. Our Sydney chiropractor performs a orthopedic exam of the lower back to help get a clearer diagnosis and a more accurate plan of therapy. At Sydney Chiropractic and Massage, you get a dedicated and experienced professional to help fix ongoing low back pain and injury. The main therapeutic hands on technique the vast majority of chiropractors use are adjustments or spinal manipulative therapy, this usually involves applying a force through a joint in a specific manner in order to achieve a gaping or ‘release’ of the affected joint. In the case of sacroiliac joint point the patient is usually put into a sidelying position and a force is applied to the joint, this is av very safe procedure and is very effective in sacroiliac pain and dysfunction. 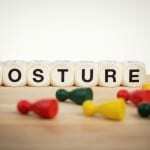 However like most chronic low back pain conditions there is generally never just one technique or therapy that can be applied, and self care and management strategies are needed to get the most long term and sustained relief without the need for excessive treatment. Also as the muscles in the legs, hips and lower back attach the pelvis; when imbalanced can creating a torsion or rotation of the pelvis which in turn can ‘lock’ or ‘jam’ the sacroiliac joint(s), these muscle need to be in a balanced and strong condition to help support the pelvis and sacroiliac joints. As I am the only chiropractor trained as a myotherapist (SLM), this enables me to balance the important postural muscles as well correcting in joint pain and dysfunction with chiropractic. Contact our chiropractor Sydney, myotherapist (SLM) & remedial massage therapist to find out how we can help you with your low back pain. 1. 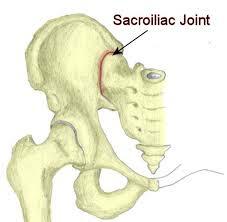 LasLett M., Evidence-Based Diagnosis and Treatment of the Painful Sacroiliac Joint. J Man Manip Ther. 2008; 16(3): 142–152.